What's Old is New! 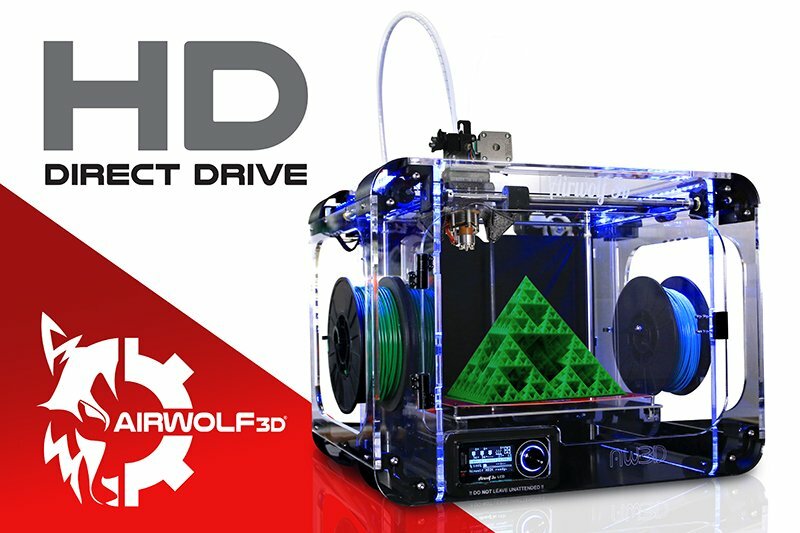 The classic HD Series 3D printers by Airwolf 3D have received a high-performance upgrade to Direct Drive, the same extruder and hot end assembly utilized by the award-winning AXIOM series. 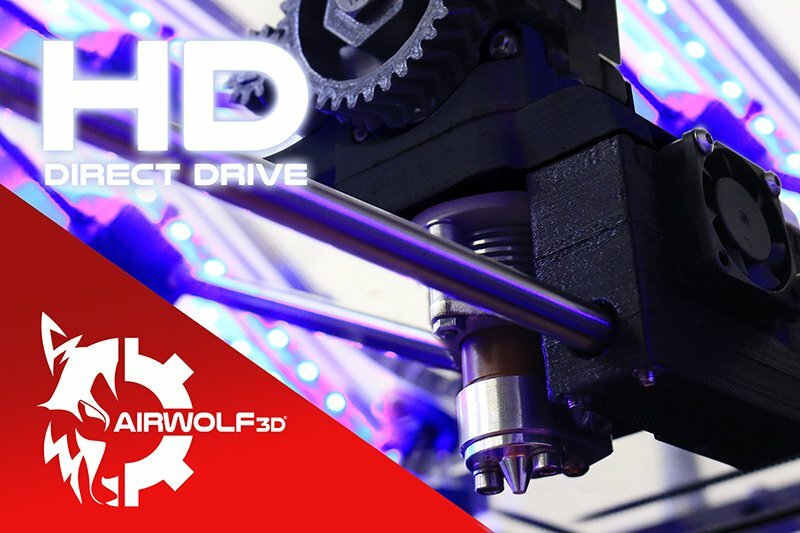 The HD Direct Drive 3D printer is a single-head, factory-certified refurbished machine that has been thoroughly inspected and tested according to Airwolf 3D’s rigorous quality control standards. 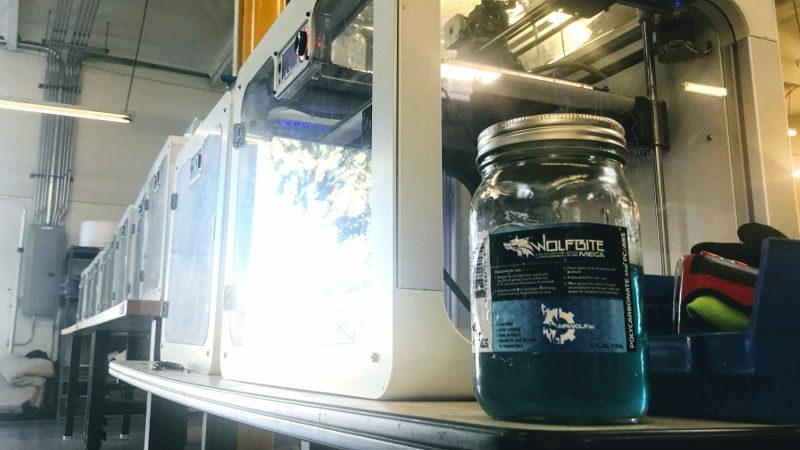 Our highly trained service technicians ensure that every refurbished machine leaves our shop in perfect working order — that’s why we even include our final test prints on each machine to prove it! From PLA and flexible TPE and TPU all the way up to ABS and Polycarbonate, the HD Direct Drive offers better, more reliable performance than any other printer at its pricepoint. 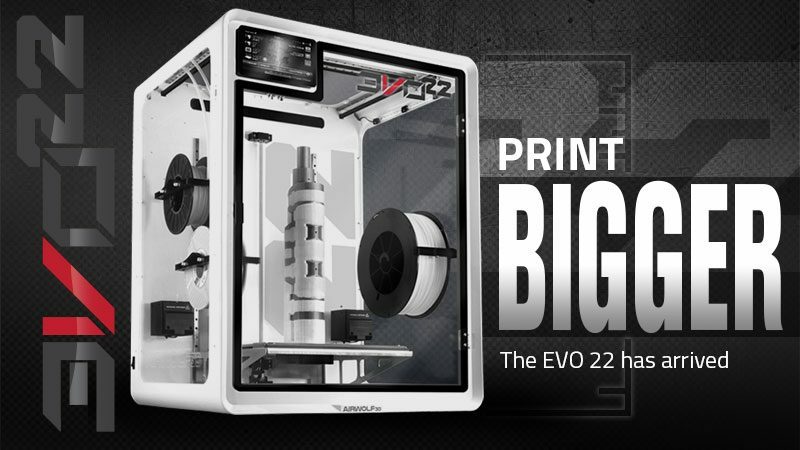 As an added benefit, the HD’s 12-inch build height offers the highest out of any Airwolf 3D printer besides the massive AXIOM 20. The re-released HD series printers leave behind the older bowden-style extrusion system in favor of the Direct Drive extruder assembly, which not only offers easier, more accurate printing, but also the same high-temperature JRx hot end used in the industrial AXIOM series machines. The result? Cleaner, more beautiful prints. All HD Direct Drive machines will provide identical, factory-certified performance. Please note that, as refurbished machines, some units may have different front panels installed and colors vary. 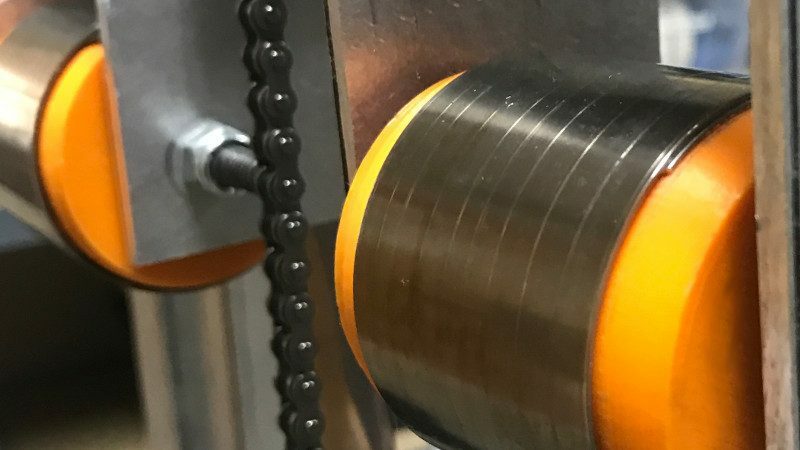 HD Direct Drive machines are single-head printers that feature an easy-to-use V2 ViKi interface, 10 mm lead screw, and a Direct Drive print head with a high-performance JRx hot end. 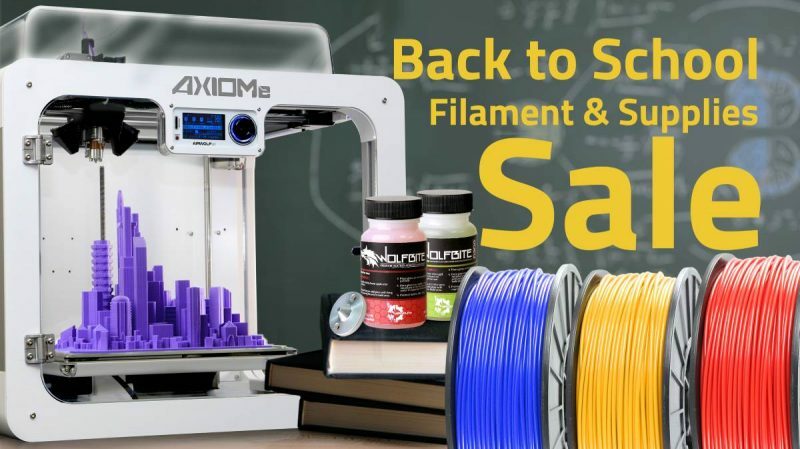 The machine comes supported by a 30-day limited warranty and all sales are final unless trading in towards a new AXIOM series 3D printer. If you currently own an HD series printer, you can now upgrade it to Direct Drive. Extend not only the life of your machine — but it’s capabilities, too. 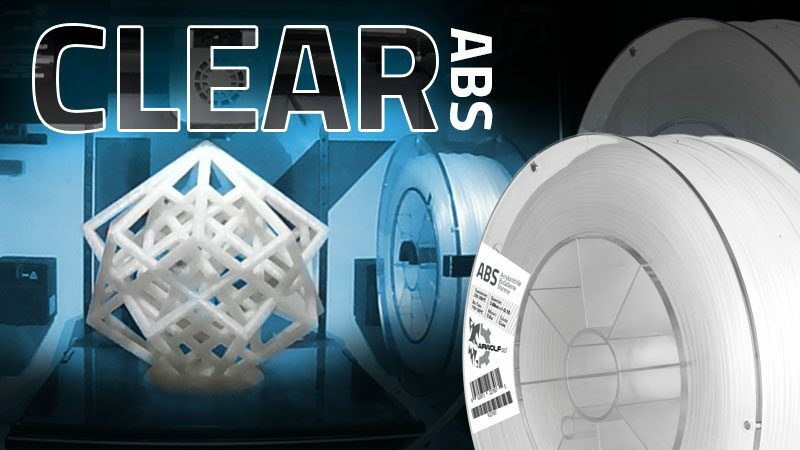 All HD Direct Drive technology features a direct drive extrusion system and a high-temperature single-head hot end for printing everything from basic low-temperature PLA to high temperature polycarbonate and ABS. A new Z-rod is also included. Please note that the HD Direct Drive upgrade is the same for all models of HD Series printers. All HD’s upgraded to Direct Drive — including dual-head HD2x machines — will be converted to single-head machines with high-temperature JRx hot ends. While HDL machines upgraded to Direct Drive will have a high-temperature hot end, please note that due to the nature of its unheated bed, the HDL will remain limited to printing lower-temperature materials. To send in printer for upgrade services, please contact Technical Support at (949)478-2933. Customer is responsible for shipping costs and labor. 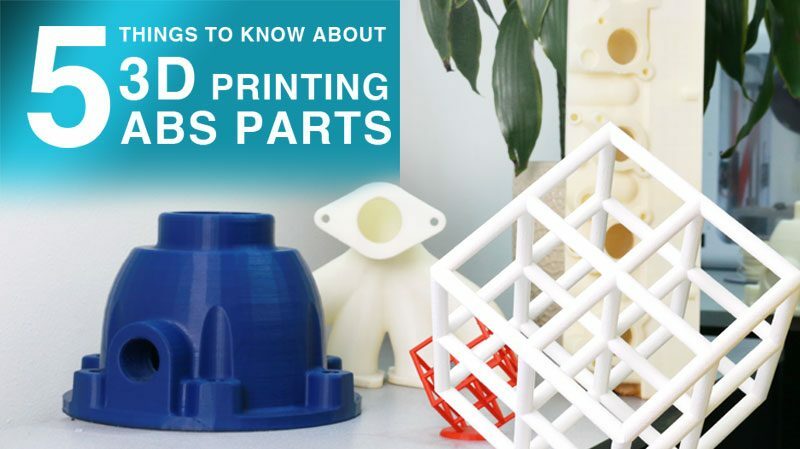 Additional fees may apply if additional parts are required. 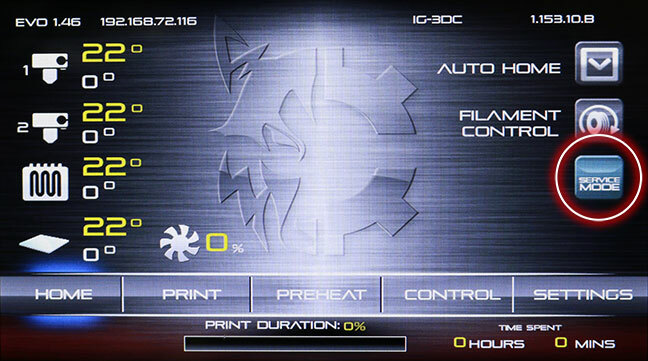 If your HD printer has an original version ViKi LCD control panel, you will need to update it to a ViKi V2. Please contact Technical Support for additional information. All HD Direct Drive units are previously owned. 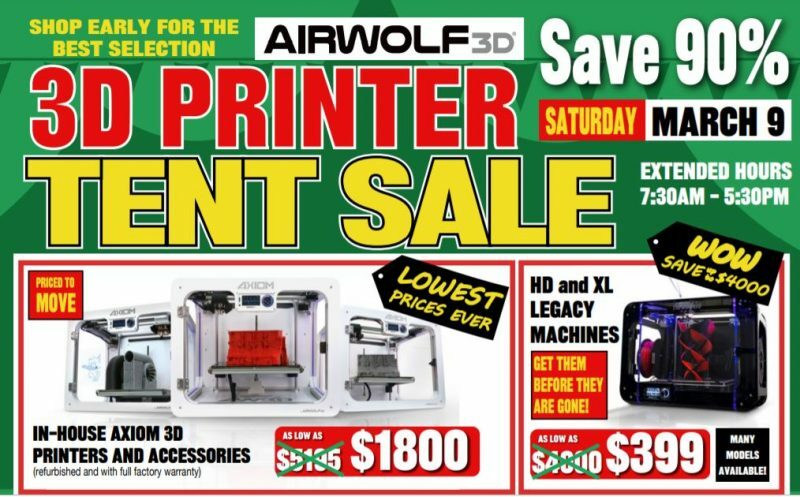 These units have been fully inspected and tested by our Airwolf 3D technicians. HD Direct Drive machines are supported with a 30-day limited warranty and tech support service. All HD Direct Drive printers are sold as is and sales are final unless trading in towards a new AXIOM series 3D printer.